The Big Viking Picnic 2016. Saturday, August 20th from 12pm. 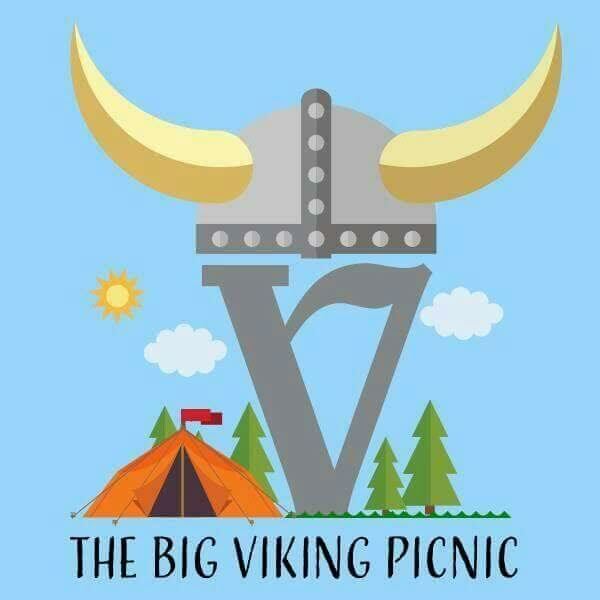 The first edition of the The Big Viking Picnic attracted 5000 people from across Europe and North America and engaged the support of National and International Stars from The History Channel hit TV Series ‘Vikings’. Travis Fimmel and Alexander Ludwig (Ragnar Lothbrok and Bjorn Ironside) were in attendance and became ambassadors to Aoibheann’s Pink Tie and The Big Viking Picnic. Their support caused a social media storm that helped bring awareness to the amazing job done by Aoibheann’s Pink Tie. Musicians, performers, craftsman, story-tellers, reenactment groups, medieval armory blacksmiths, historians, national and international media contributed to the enormous success of the event and helped raise over €30.000 for Aoibheann’s Pink Tie Childhood Cancer Charity. 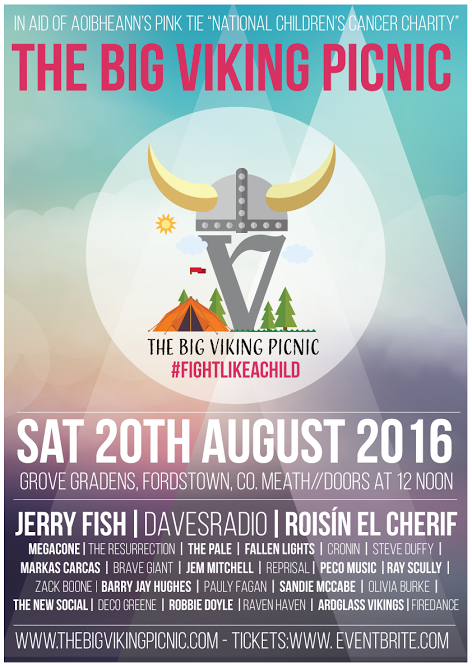 This year, The Big Viking Picnic returns to Grove Gardens, Fordstown, Co. Meath bigger and better and with many more special guests stars! Firedance, Ardglass Vikings (Reenactment Group), Viking Village, Funfair, FX Makeup, Raven Haven Aviaries, The Game of Thrones Experience (The Iron Throne will be there for pictures), The Dirty Circus, Storytellers, Stalls, Arts & Crafts etc. We would love to have you with us and count with your support for this worthy cause!